WARRANTY* AWD* TOW PKG* Heated LEATHER* LOW 70K MILES* 3RD ROW*Auto Liftgate, Backup Camera, V6 3.6L, 6-Speed Automatic Transmission, TOWING PACKAGE, AM/FM Stereo w/CD/MP3 Player, StabiliTrac vehicle control system includes Anti-Lock Brakes, This FRESH NEW ARRIVAL has been thoroughly inspected and reconditioned so you can buy AND drive with TOTAL CONFIDENCE! Most Viking Motorcars come with 3 months/3,000 mile limited power train warranty, owners manual and free CARFAX REPORT! Our local credit union financing starts at 2.99% APR and you can apply on our secure website. 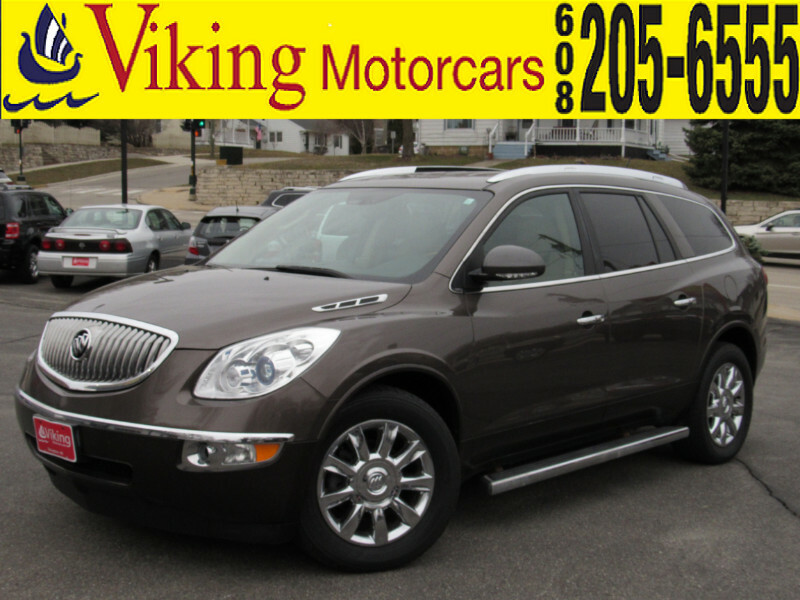 We invite you to shop Viking Motorcars, your hometown dealer with smalltown prices WHERE WE ALWAYS TREAT YOU RIGHT! Located at the intersection of highways 51 and 138 south in HISTORIC downtown Stoughton.